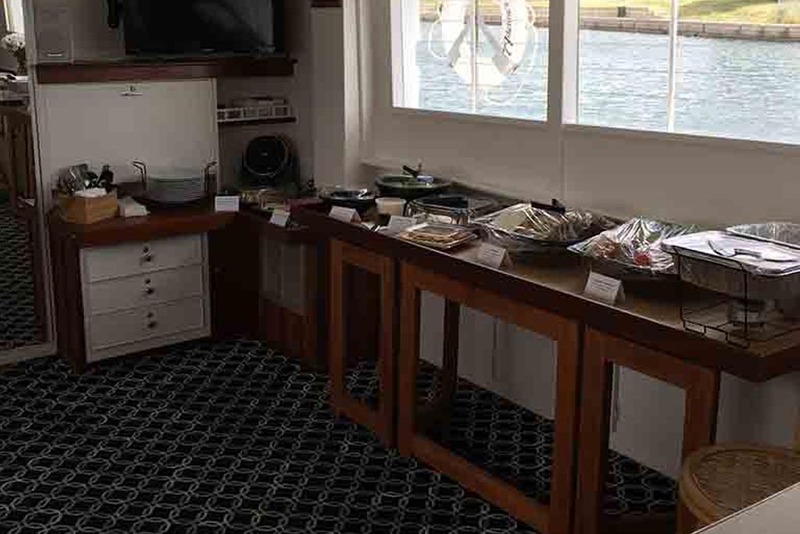 We are all about personal attention and our added pampering services assure that all your needs are provided to make the experience aboard Adeline’s Sea Moose memorable for you and your guests. Making sure everything is just right is a specialty of ours and our added pampering services offer several options. 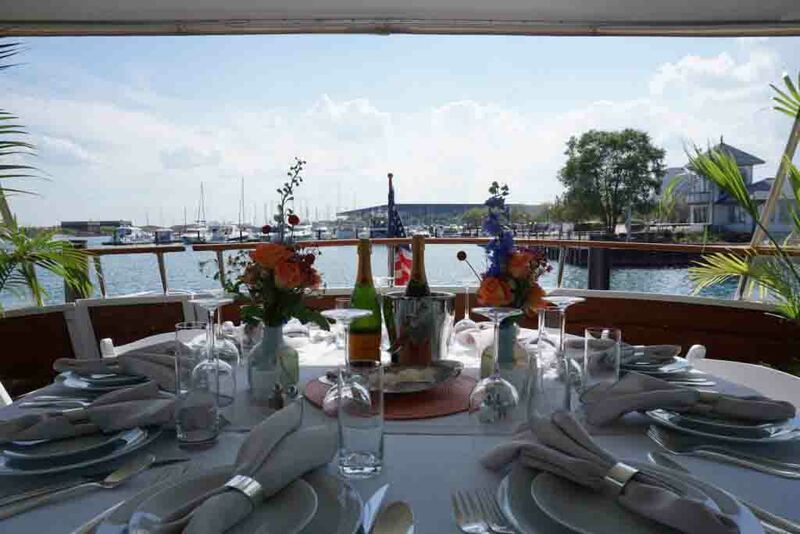 We work with a private Chef to create personalized menus and have partnered with some of Chicago’s top restaurants and bakeries. A welcome aboard hostess offers a warm greeting to each of your guests and along with our attentive wait staff, we make sure everyone is pampered. Choose your bar theme and our professionally trained bartender/mixologist will create a custom cocktail menu, making each beverage to perfection. Our carefully selected florists, various musical entertainment, and specialty item suppliers can provide some added touches to your occasion. To capture the moment for onboard or above, we have relationships with some of Chicago’s best still, video, and aerial photographers. Didn’t see a service you’d like to have? Just, let us know.